Headliners Book Event with Mark Leibovich: "Big Game: The NFL in Dangerous Times"
The New York Times Magazine’s chief national correspondent Mark Leibovich has enjoyed a lengthy and successful career covering the political circus that is our nation’s capital – but behind the bylines and the campaign coverage, Leibovich harbored a dark secret: he was a born and bred New England Patriots fan… who longed to turn his critical eye on America’s other great spectacle/sport – professional football. 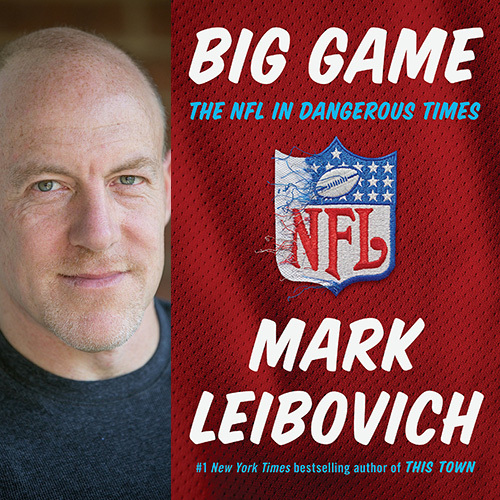 When his idol Tom Brady finally returned one of his many calls back in 2014, Leibovich’s low-key obsession became the focus of a “four-year odyssey” into the belly of the “big game.” On Tuesday, October 9, Leibovich will share his new book “Big Game: The NFL in Dangerous Times,” at a National Press Club Headliners Book Event. This event will feature a discussion with the author, an audience question-and-answer session, and a book signing. There will be a cash beer bar in the room, as well as complimentary game-day snacks for attendees.